Well, today was quite a day. It started out like any other work day, but it took a bad turn during my commute when I was rear ended on the highway. Traffic had come to a screeching halt; the driver behind me was not quick enough and slammed right into the back of my car and launching my car into the car in front of me. The airbags were deployed, but thankfully I was uninjured. My car, on the other hand, did not fair as well. It was towed away and it looks like it might be totaled. A little later in the morning, after I’d contacted the insurance companies and made a reservation for a car rental, Kyle Dudgeon offered to pick me up and take me to his house to see the EVENING GROSBEAKS that they’ve been getting there recently. I took him up on the offer, Rob Stone joined us, and fortunately the EVGRs did not disappoint. They were easily heard at first and then we had them in his front yard before the flock of 8 birds settled down to grab a snack at his feeders. This definitely made my day more than just a little less terrible. The EVENING GROSBEAKS were an OC life bird and my 225th species in the county for 2018. Huge thanks to Kyle for the hook up (and the cheer up!). Sorry to hear about your car, but glad you were not injured. Good to see the Evening Grosbeaks to help cheer you up. Don’t be surprised if you are a bit sore tomorrow after body gets more relaxed. Be well. i’m so sorry matt about the accident. but glad you’re ok. sorry bout the car though. 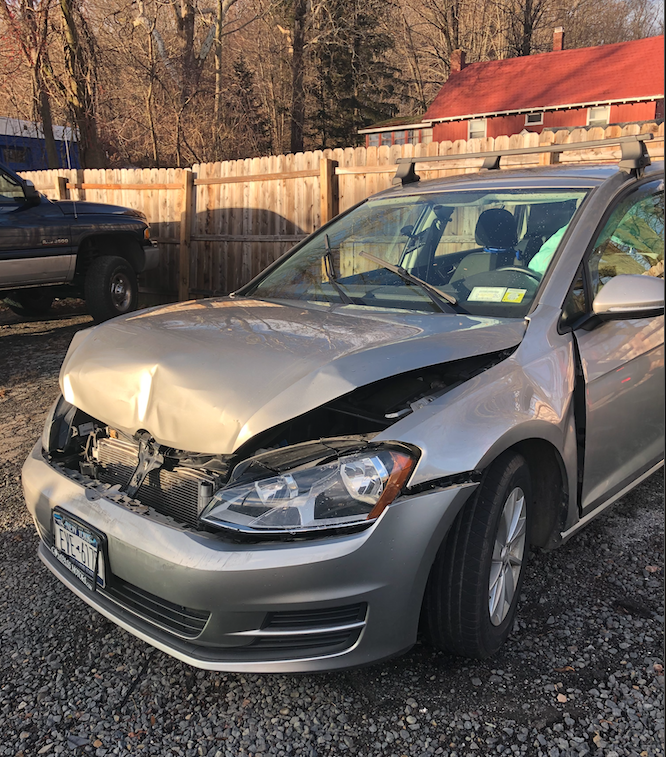 funny thing – i was sideswiped today on the highway as well – but not as much damage. As Joe said, so sorry to hear about the accident, but glad you are okay. How wonderful to see the Eveninbmg Grosbeaks & creeper, too! That stinks, Matt!! Bad luck! Glad you’re ok though. My dad once said to my brother after he wrecked his car, “They’re making new ones every day!” I always liked that attitude … remember what’s most important. But it’s all a definite distraction. And Kyle came to your rescue. What a great friend he is to you! I’m certainly sorry to hear about your accident but VERY happy to hear that you were not injured. IF the car needs to be replaced please get a RED car and put your rack on the roof so that I will recognize you again! Best wishes. I’m so glad to hear you were not injured in the accident,Matt! The holidays are such a dangerous time of year due to driver distraction. 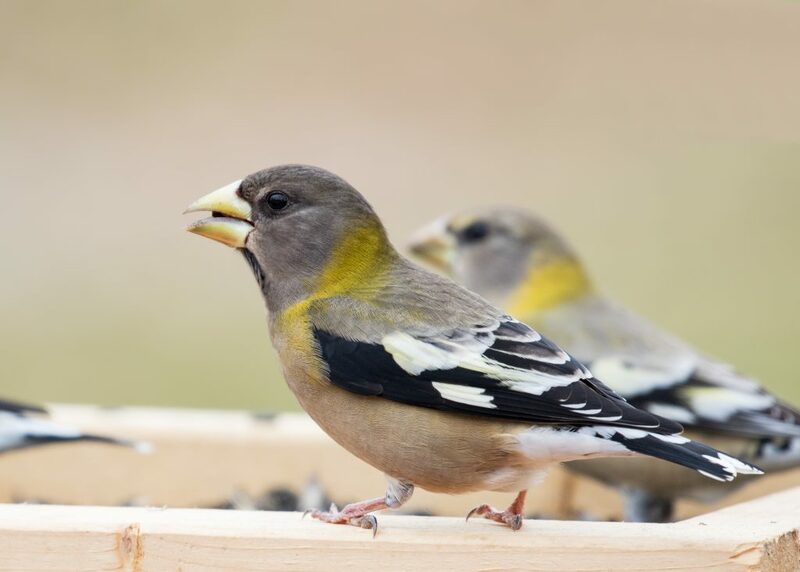 Your shots of the Evening Grosbeaks are wonderful. Congratulations, on #225. 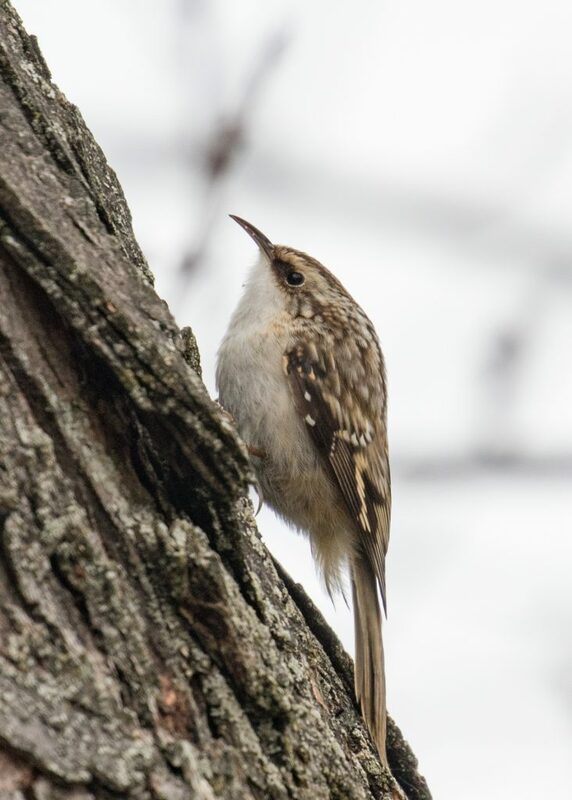 Fingers crossed that you can snag a Winter Wren and a Cackling Goose within the next 10 days! Sorry to hear about the accident and what happened to your car, but glad you’re safe albeit probably sore. How nice of Kyle to help. You still managed to take your usual quality pictures!